The meeting with Pathfinder International team took place in ACD Executive Director’s Office at about 10.am on the 26th of this month 2013, it started with introduction of Pathfinder International team before ACD staffs followed suit. The meeting which lasted for about three hours, with the pathfinder representatives Carrying out assessment in order to to know areas they will provide technical assistance. This they did so by going through our organization past and present records. which include the constitution, mode of recruitment, organogram, work plans for projects e.t.c and also commending ACD on the projects they have implemented so far and also looking at their track records both present and past, before pointing to ACD areas that they need to increase productivity. Dr. Rene Mary Mathew, Team Leader from Pathfinder int l also called for the need for NGOs to involve community most in our projects.she also encourage that other areas should be looked into trying to integrate HIV with other areas like sanitation. if for example NGOS want to fight and eradicate polio they must first of all tackle environmental sanitation. She also promised that they will also come to do a formal training for program staffs and board of trustee members. She finally threw more light on national PMTCT response in Nigeria. The meeting came to a close at about 2.30pm. 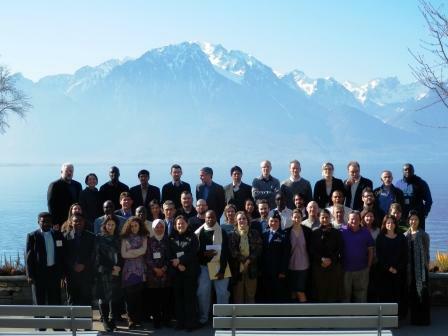 Attended a course on Managing Natural Resources in Post Conflict Recovery and Re-integration.From 26th of February to 2nd of March 2012 in Montreux Switzerland. 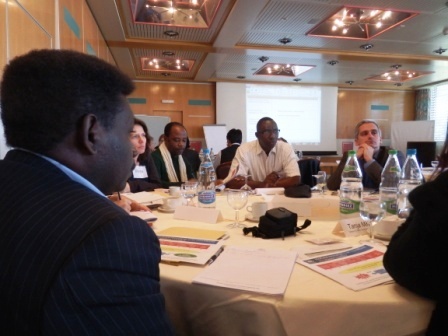 The course was organized by CSRS of the Naval Post Graduate School in collaboration with IAWG,UNDP and UNEP. The course showed clearly the current United Nations Standards (IDDR) International Standards for Demobilization, Demilitarization and Re-integration. It also emphasized on a holistic community centred approach to re-integration. I must express my respect for your kind-heartedness in support of persons that must have guidance on this subject matter. Your special dedication to getting the message along came to be unbelievably advantageous and has regularly made regular people much like me to achieve their aims. The warm and friendly key points denotes this much to me and a whole lot more to my fellow workers. Thank you; from each one of us. Yes! Finally something abut international paper.